For a critical approach to the new field of environmental history see John F. Richards, The Undending Frontier: An Environmental History of the Early Modern World. (University of California Press, 2006). For the impact of the modern world system on the environment of the Atlantlic, see Ch. 8, Wildlife and Livestock in South Africa," Ch. 9, "The Columbian Exchange;" Ch. 15., "Cod and the New World Fisheries," and Ch. 16, "Whales and Walruses in the Northern Oceans." For comparison of the problem of sugar and hacienda plantations, see also Ch. 11, "Sugar and Cattle in Portuguese Brazil, " and Ch. 12, "Landscapes of Sugar in the Antilles." One way to understand the development of the Atlantic System is to study and compare the development of whaling and other industries. The expansion and development of whaling may be compared to sugar plantations. Why for instance did sugar rely upon slavery while whaling did not? Note the progression toward an industrial and company financed system of land based factories between 1574 and the end of the 17th century. Fig. 1. 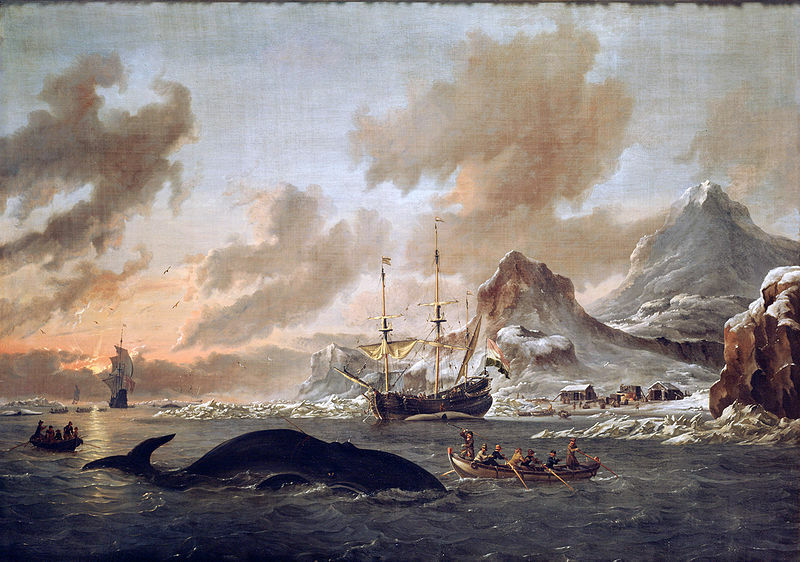 Abraham Storck, Dutch Whalers near Spitsbergen, 1690. Fig. 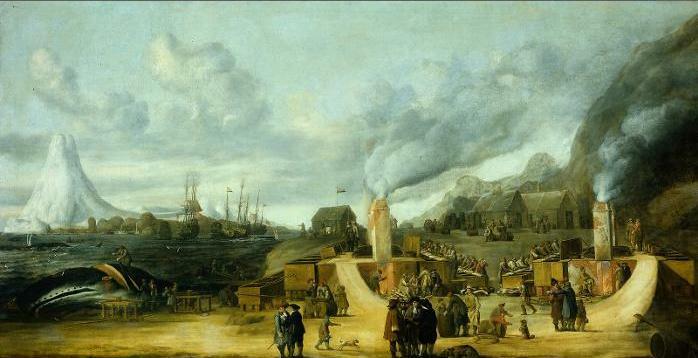 2 Cornelis de Man, Whale-Oil Factory of the Amsterdam Chamber of the Northern Company at Smerenburg, (1635). Rijksmuseum, Amsterdam. 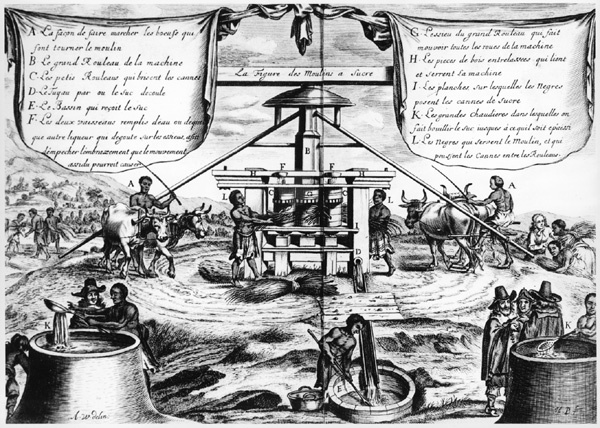 Development of Sugar Plantations and Industry on a Slave Labor System. Sugar drove the New World Economy and required the tropical and subtropical zones for adequate year round temperatures for seeds to germinate and reproduce. 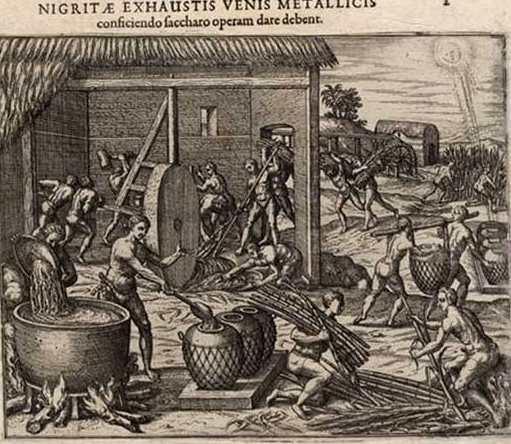 John F. Richards, has provided a summary of the problem of sugar and environment in his studies of the Antilles in the Carribbean and of Brazil, in The Unending Frontier: An Environmental History of the Early Modern World (2006). 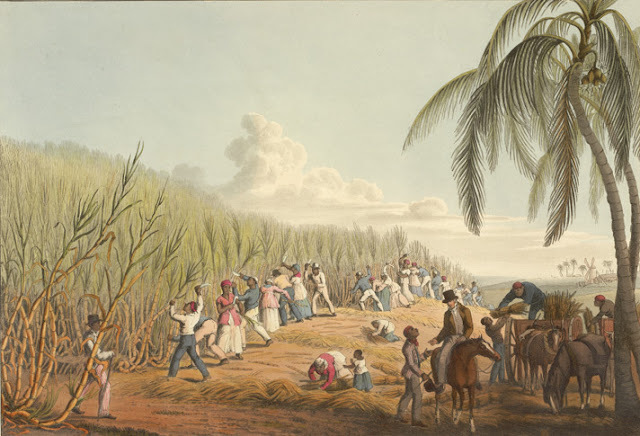 One should note that up through the mid 17th century, the British sugar plantations on the island of Barbados relied on British indentured servitude, but the mortality rate was so high that the resort to African slaves became a preferred alternative (Richards, 422). The Navigation Act of 1660 reinforced British dominance in the Barbados by placing trade as the monopoly granted to the Company of Royal Adventurers Trading to Africa. Also known as the Royal African Company (RAC) the British found it cheaper to resort to African slaves. William Clark, "Slaves Cutting Sugar Cane in the West Indies," Lithograph. Views of Sugar Production on Antigua. (London, 1833).